The 21st century brought continued Club commitment to eliminate violence against women. Used cell phones were collected for the Task Force on Family Violence. They are either sold to raise needed funds or reconditioned for use by victims of domestic violence. The Club’s Foundation also donated $3,000 for the Task Force and The Healing Center to hold programs for young girls and their mentors. 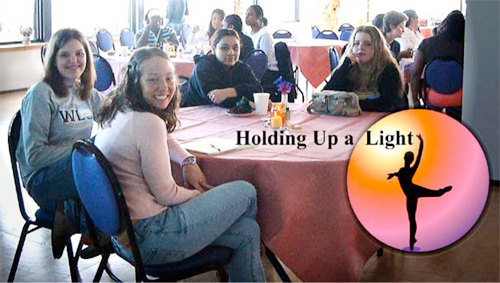 The program was entitled “Holding Up the Light: A Conversation About Violence Against Women for Teens, Mothers and Mentors”. Club members also participated in local “Walks Against Violence”. Several Club Meeting speakers have addressed that issue. Mini service projects included items collected for the Waukesha Women’s Center and The Healing Center. Funds raised from the Club’s 75th Birthday event in October 2001 were presented at the April 20, 2002 Spring Fashion Show to the YMCA’s Camp Minikani, Our Next Generation, Lissy’s Place and the Milwaukee Women Center’s Older Abused Women’s Program. Fundraisers such as our Fashion Show also enable the club to contribute to International service projects such as UNIFEM and/or UNICEF, Amelia Earhart Scholarships, Young Women in Public Affairs Scholarships, Jane M. Klausman Women in Business Scholarship, and ZISVAW as well as for local club scholarships. 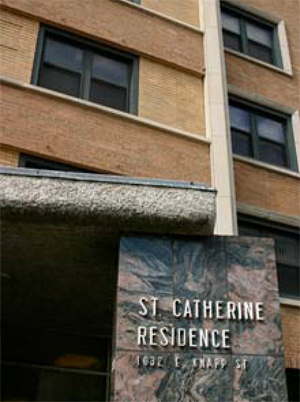 In 2003, the Club meeting location was changed to St. Catherine Residence for Women on East Knapp. By having our dinner meetings there, we were able to help underwrite their meal program for residents. Secondly, Club members contributed items needed by residents and also provided Christmas gifts. 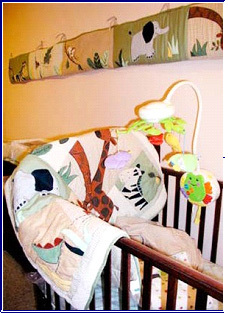 In October of 2008, Club members raised funds, bought supplies and paint, and decorated and furnished a Mom and Baby Suite for St. Catherine Residence. 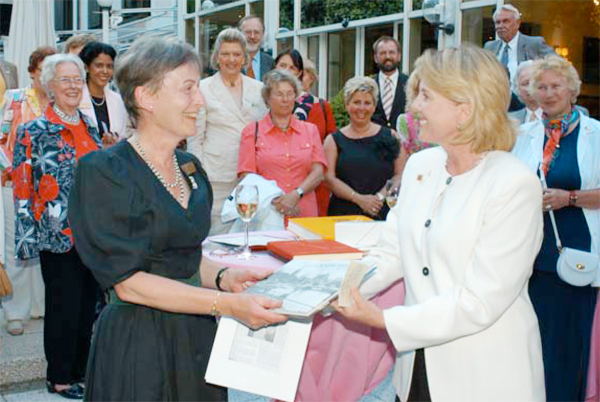 At the 2004 Zonta International Convention in New York City, a sister link was set up with the Zonta Club of Heidelberg, Germany. Zontians from both clubs have continued visits and tours here in Milwaukee and in Germany. 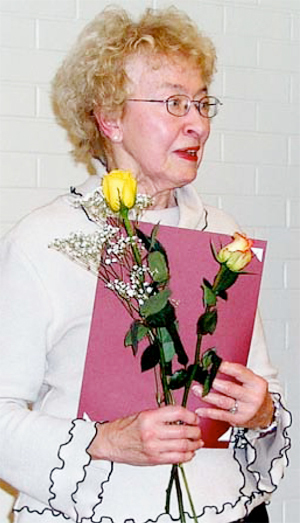 During that Convention, Club Member Jacqueline M. Beaudry was installed as Governor of District 6 for 2004-2006. She was the fourth member of the Zonta Club of Milwaukee to be elected to that office since the formation of District 6 in 1947. The other three Club members were Meta Steinfort (1947-1949), Greta Murphy (1961-1962) and Margaret Holzbog (1994-1996). After her term as Governor, Jackie served as International Service Committee Coordinator (2006-2008), District 6 Foundation Ambassador (2008-2010), and Zonta International Foundation Development Committee Chairman (2009-2010). In 2004, the Club’s monthly Bulletin went from a print format to an electronic version sent to members via their email. This conversion not only saved on postage but also improved the timely delivery of information. In March of 2004, the Club lost long-time Zontian Arlene Tierney Kennedy, once the only woman to serve as an assistant district attorney in Wisconsin. She also served on more than 20 local and state panels, including the Milwaukee Police and Fire Commission. Arlene was 90. In 2004, then Wisconsin Lt. Gov. Barbara Lawton held forums called Wisconsin Women = Prosperity throughout the state gathering input on the economic status of Wisconsin women. Zontians Barbara Wyatt-Sibley and Diane Lindsley attended the forum at Gordon Park. 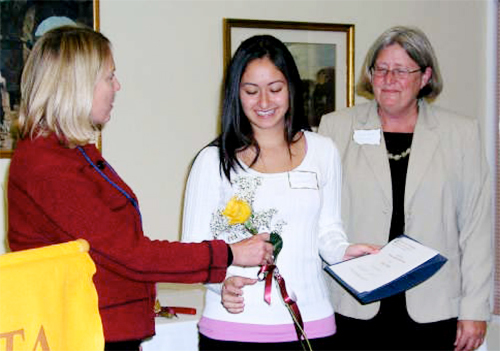 Local Scholarship awards were begun in 2005. Three scholarships were developed: Technical Specialty ($1000), Young Women in Public Affairs $500) and a Jane M. Klausman Woman in Business ($1000). In 2006, a fourth, Woman in Science ($1000) was created. In Madison, Wisconsin, October 16, 2006 Scholarship opportunities were launched for the Young Women in Public Affairs Award at the Learn, Earn and Prosper (LEAP) Conference for teens to learn about high-demand traditional and non -traditional jobs. The Zonta Clubs of Wisconsin – Janesville, Madison, Milwaukee worked together to support a state wide event for young girls ages 15 to 18. They provided an exhibit table telling all about the scholarship opportunities in Area 2. Over 150 students approached us to learn more about Zonta. It was a good opportunity to network. 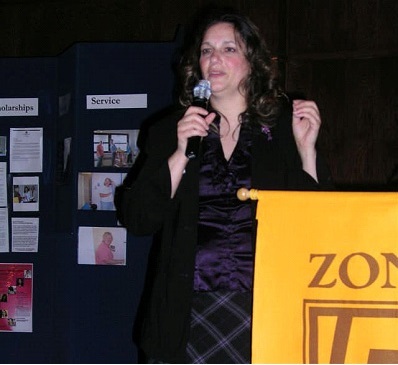 In 2008, Erica Gelvan, our Club’s $1,000 Jane M. Klausman Woman in Business Award winner went on to be awarded Zonta International’s $5,000 Klausman Award. Club members added their advocacy voices against human trafficking by participating in meetings of the Greater Milwaukee Rescue and Restore Coalition as well as advocating for successful passage of anti-trafficking legislation in Wisconsin. In addition, Diane Lindsley presented Zonta International’s programs and projects to combat trafficking to the Greater Milwaukee U.N. Association. 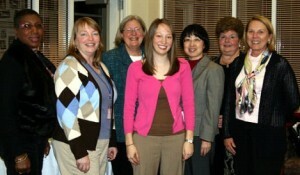 To help prevent human trafficking, in 2007, Milwaukee Zontians gave $480 in funds to UW Stevens Point Thailand Project to help support two women from Thailand, to transition to the University of Stevens Point undergraduate program. These young women have no citizenship and were not allowed to attend Thai government grade schools. Our Club and District 6 honor those who have been members for 30 years. 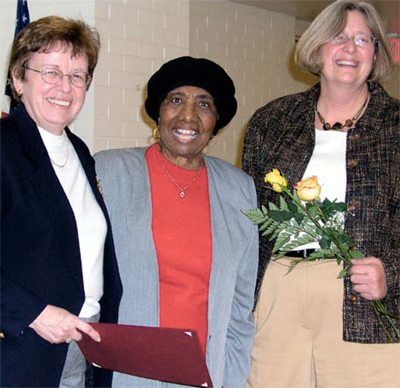 In 2008, we recognized Helen Alexander and Norma Voorhorst. Helen Alexander had worked for Day Care Services for Children as a child development administrator. She earned her Master’s degree in child development from UWM and was also a national consultant for Head Start. Although Helen is no longer with us, in Spirit her memory will live on through a $1,000 bequest from her estate to the Club’s Foundation. The Club also lost long-time Zontian and past Club President Norma Voorhorst in 2008. For years, Norma did volunteer work for the Visually Handicapped and helped produce the Club’s annual fundraising fashion show. In recent years, she was most active in the Club’s Scholarship Committee. Norma always had a smile and a can-do attitude. Norma had been the corporate secretary for the Laub Group. She was also a member of Friends of the Domes and a volunteer usher at the Marcus Center. In 2007 and 2008, Club members Jacqueline Beaudry, Cheryl Lucas DeBerry, and Donna Kahl-Wilkerson provided “Handshakes to Resumes” seminars for job-seekers needing job-obtaining skills. This project benefited not only the women of St. Catherine Residence by helping them learn necessary life skills but also directly benefited the community by having women with strong job skills in the workforce. From 2007 to 2009, Zontian Sandra Miller organized “Women in Trades” to help recruit and retain women in the construction fields in Southeastern Wisconsin. Other Zontian facilitators included Kathy Wells, Cheryl Lucas DeBerry, and Donna Kahl-Wilkerson. 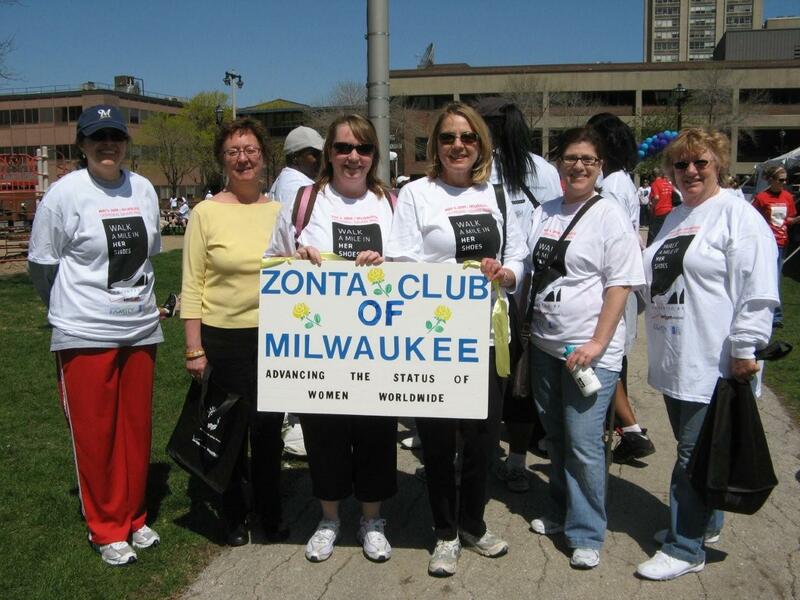 In May of 2008 and 2009, Club members participated in the annual “Walk a Mile in Her Shoes”, a walk against domestic violence that raised funds for Jewish family Services, Sojourner Truth House, and the Task Force on Family Violence. In March of 2008, the Zonta Club of Stevens Point and UW Stevens Point began the “Thailand Project” to help fund the education of two women struggling to leave Thailand and receive an education. Club Zontians and Zonta Foundation, Inc. contributed funds and visited with the students in June, 2009. Another service project involved the donation of used cell phones to the Task Force on Family Violence to be refurbished for use by domestic violence participants. In addition, each month Club members were asked to contribute items needed by different social service agencies. This included food drives at the Club’s annual holiday party. This decade also saw added participation of Club members in District and community affairs. From 2002-2004, Jacqueline Beaudry was District 6 Governor and Diane Lindsley was the Secretary. From 2008-2010 Jacqueline was Foundation Ambassador and then Chairman of the Foundation Development Committee. Donna Conant was elected Area 2 Director in 2006-2008 as well as elected Chairman of the Board of the Milwaukee Better Business Bureau. Donna was also featured in Citi-Gal magazine. After winning local and regional competition, Marquette University Business Administration student Kelsey Palmer was named the recipient of the 2009 Zonta International’s Jane M. Klausman “Women in Business” Scholarship. Kelsey was one of 12 globally to receive the award in 2009, which was made possible first by winning the Zonta Club of Milwaukee’s Women in Jane M. Klausman scholarship and endorsement for the competition in District 6. Advocacy efforts at this time included attending “Rescue and Restore” meetings by Christine Todd and Diane Lindsley. The Club invited the public to attend a special program on domestic violence featuring survivor Teri Jendusa Nicolai in November of 2008. Lastly, Diane S. Lindsley, representing the Club within the Milwaukee Human Rights Coalition, helped to re-establish the City of Milwaukee’s Equal Rights Commission. 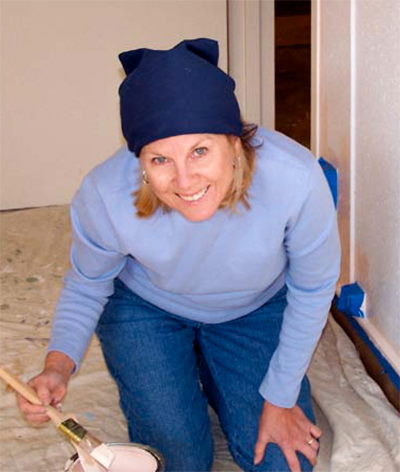 Fundraising during this decade became more organized and focused thanks to Zontian Laurie Brachman. Themes were used, corporate sponsorships were solicited, and raffle and silent auction items were expanded. Net revenues increased from $3,500 to over $14,000.